Tofino: Winter Surfing & Eating Fish Tacos ! Our family did a small road trip to Tofino and Ucluelet over the winter holidays from Vancouver and it we had lots of fun! We rented a cozy chalet for a few nights and spent most of the time relaxing and enjoying the family time together. During Christmas and the New Year, many restaurants and shops are closed off but nonetheless, we still had a blast! Here are some of my must do’s and must eats! 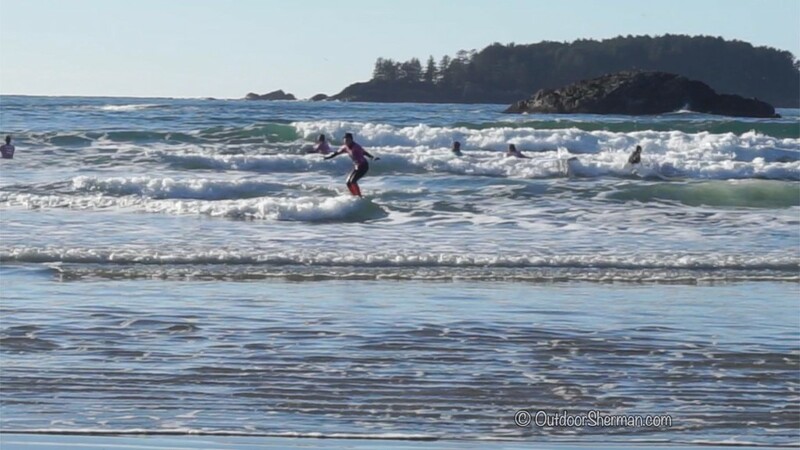 Tofino is known for being Canada’s surfing paradise so one of the best activities to do there is obviously surfing! Never surfed before? No worries! Book a beginner’s class with the Surf Sister. They provide you with all the gears and their instructors are awesome and friendly! If you’re up for the challenge, go surfing in the winter…it’s a REALLY COOL (no pun intended :P) experience! Considered one of the best surf towns in North America, Tofino is no doubt filled with beaches! With so many to choose from, my vote goes to Long Beach. As the name suggests, the beach is pretty long (16 km in length). Take some time and walk along this magnificent beach. 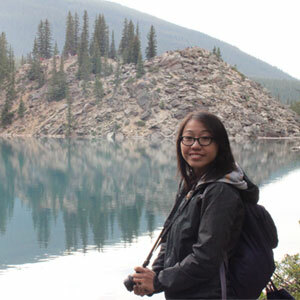 We went during the winter so there was no crowds and we got to enjoy the nice tranquil walk. We happen to be there at noon and with the sun shining right above us, the view was simply breathtaking. Right next to Tacofino is Westside Grill, another great place to stop for food! A little shack with picnic tables open year round, it’s just perfect after a long day of surfing. Their salmon and cod fish ‘n chips are amazing and on a cold day, definitely order their seafood chowder…YUMMY! Their prawns ‘n chips were pretty good too. Instead of choosing which restaurants to go to, we ended up buying a combination of both restaurants to feast on! If you’re staying in Ucluelet (a town located 30 minutes away from Tofino), a nice little coffee shop to drop by for breakfast is Zoe’s Bakery and Café. A rustic looking store with with coffee, bake goods, and sandwiches. Choose any pastries there and you won’t go wrong!